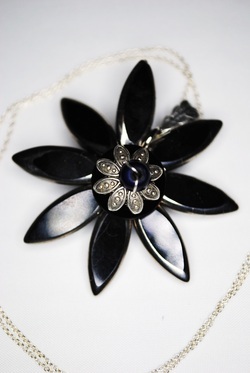 Unique handmade jewellery made for any occasion. Each piece of jewellery has been designed and handmade with care using sterling and fine silver, gemstones and Swarovski crystal beads. Many of my pieces are unique, one-off items, others, while reproducible, may be limited by availability of beads and edition. And of course, I can always make to order! Commissions are welcome, so please do contact me if you wish to have a unique piece of your own created. Currently a small selection of my pieces are featured in the gallery, but these will be regularly added to to give a more comprehensive collection to view, to purchase or to inspire.